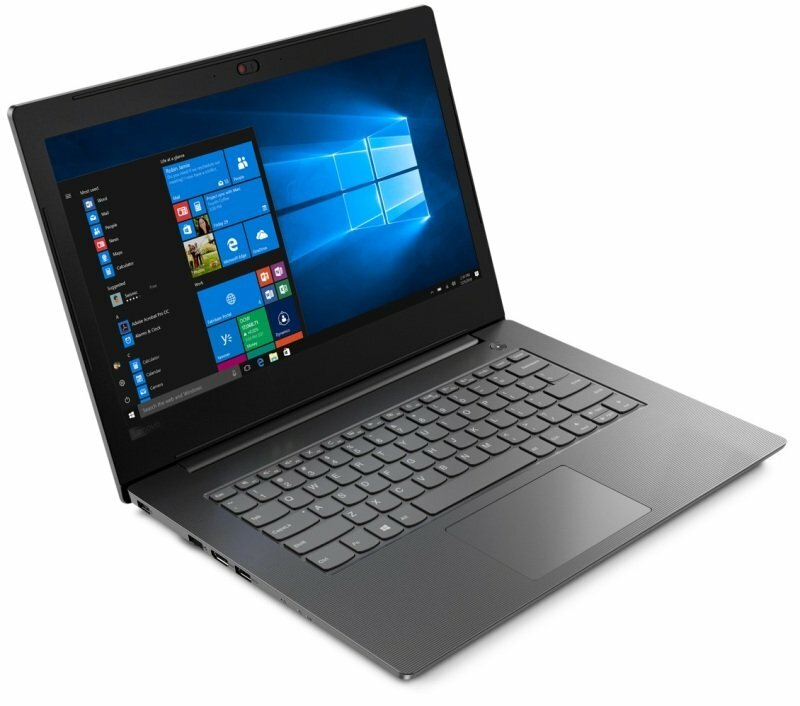 The Lenovo V130 small-business laptop is highly portable, weighing in at just 3.96 pounds / 1.8 kg-yet it features powerful processing so it's a cinch to work with anywhere. This laptop is highly secure with Trusted Platform Module, which works in conjunction with Windows 10 Pro Bitlocker to encrypt data and passwords. And the privacy camera shutter ensures the webcam is off when it's off-no chance of hackers inconspicuously spying. With the antiglare display, the V130 delivers rich visuals no matter what you're doing. Complete your project. Be creative. Watch a movie. The display opens 180 degrees, making it simple to share and collaborate, or just get comfortable with your laptop at the angle you want. And with stereo speakers and Dolby Audio™ no matter what you're listening to, it's sure to sound as good as it looks. The full-sized, ergonomic keyboard on the V130 was engineered for comfort and typing accuracy. The large touchpad makes it even easier to be productive wherever you are-no mouse required-and the one-piece design looks sleek. This keyboard is also spill-resistant, so you can go about your business without concern for the little mishaps of daily life. We know how important your information is. That's why the V130 features Trusted Platform Module (TPM), which works in conjunction with Windows 10 Pro Bitlocker. Together they encrypt all your data, as well as your passwords. What's more, this laptop has a privacy cover for your webcam-so you'll never need to worry about being spied on.